This wedding garter is a stunning layered combination of soft tulle, lace and satin ribbon. Embellished with Swarovski pearls, satin bow and pearl drop. A perfect garter design for any wedding day. 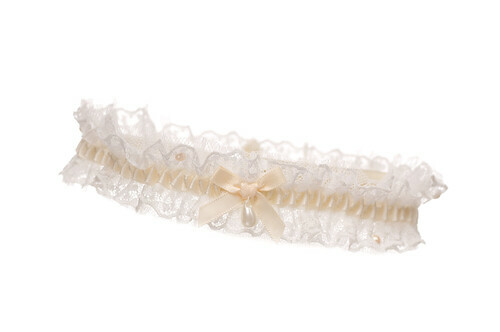 The Ava garter is available in Ivory or White!